In the Name box, enter the name of your data source. 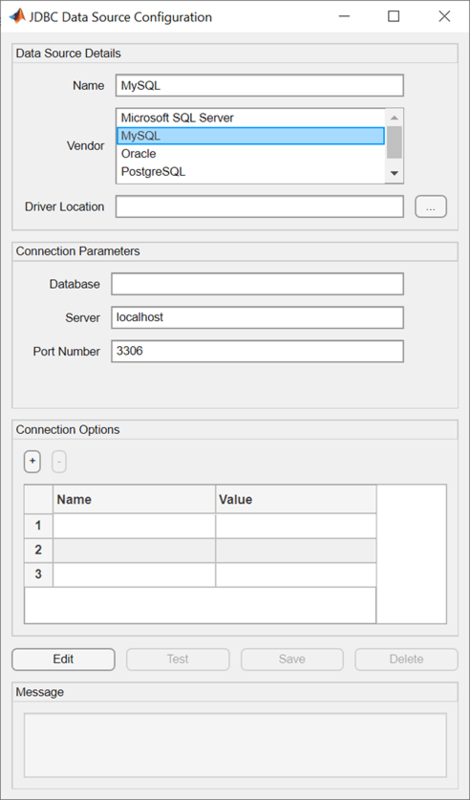 (This example uses a data source named MySQL.) 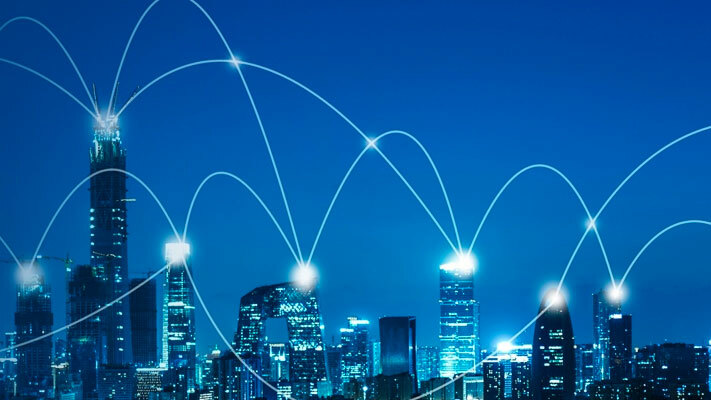 You use this name to establish a connection to your database. 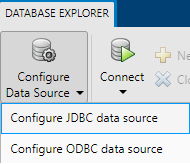 If you enter a name that duplicates an existing ODBC data source name, the Database Explorer app appends _JDBC to the name after you save it.